Use these publications, infographics, fact sheets, videos and other communication tools to convince community leaders to make combating childhood hunger a priority. In the News – View the latest media coverage of efforts to combat childhood hunger in New Jersey. News Releases/E-news – An archive of our news releases and monthly e-news/updates. 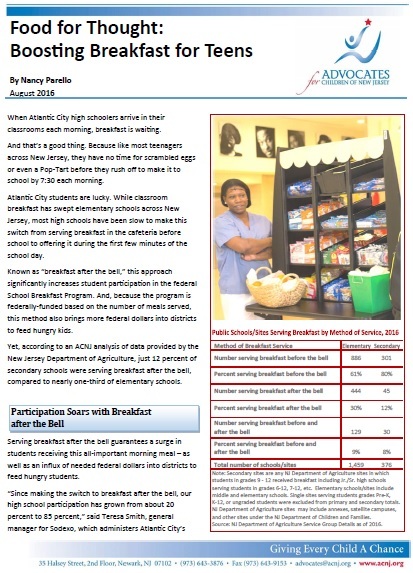 Videos – View videos about school breakfast and other child nutrition initiatives. Infographics – Download and share images to promote child nutrition. Publications – View reports, fact sheets and outreach materials. Select child nutrition in the category field.